Infinite Energy Solutions, Inc. is a home inspection and energy audit company serving new construction and residential existing homes. We serve the Tampa Bay area including Hernando, Pasco, Pinellas, Polk, Hillsborough, Manatee, and Sarasota counties. Our company was established in 2008, primarily specializing in energy inspections on new construction homes. We take pride in forming open relationships with builders and trade partners involved with the inspections. We currently work with several builders in the Tampa Bay area with HERS Index, Energy Star Certifications, and Green certifications. We also perform code compliance testing (blower door and duct testing) to help new construction builders meet the current Florida Energy Code in a cost effective way. Our residential home inspection department conducts full home inspections, four point and wind mitigation inspections, as well as energy audits and thermal image inspections. Infinite Energy Solutions, Inc. is committed to using the highest quality products available! We use equipment manufactured by Retrotec materials whenever they are called for. 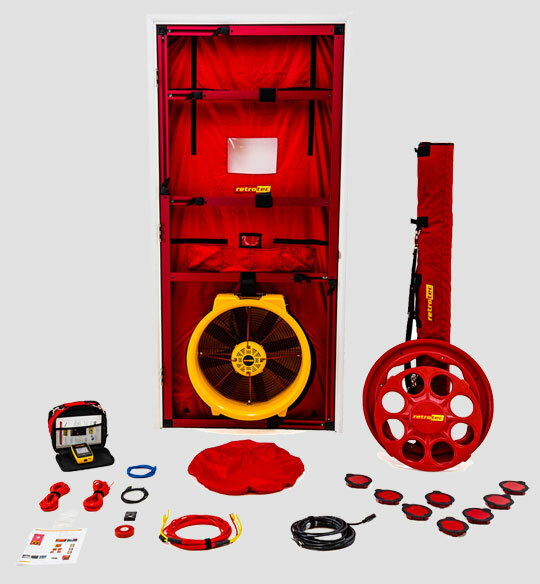 Retrotec is known throughout both residential and commercial spheres for innovation and creating the industry standard when it comes to specialized equipment meant to aid in energy efficiency, including residential duct testers and blower doors. We also employ advanced thermal imaging technology to perform an infrared thermographic scan for most of our services in order to detect areas of heat loss and gain that would otherwise be undetectable by the naked eye alone. The services offered by Infinite Energy Solutions, Inc. also include a variety of inspections, tests, and certifications designed to provide home inspection services and energy efficient solutions to residents of the Tampa Bay area.